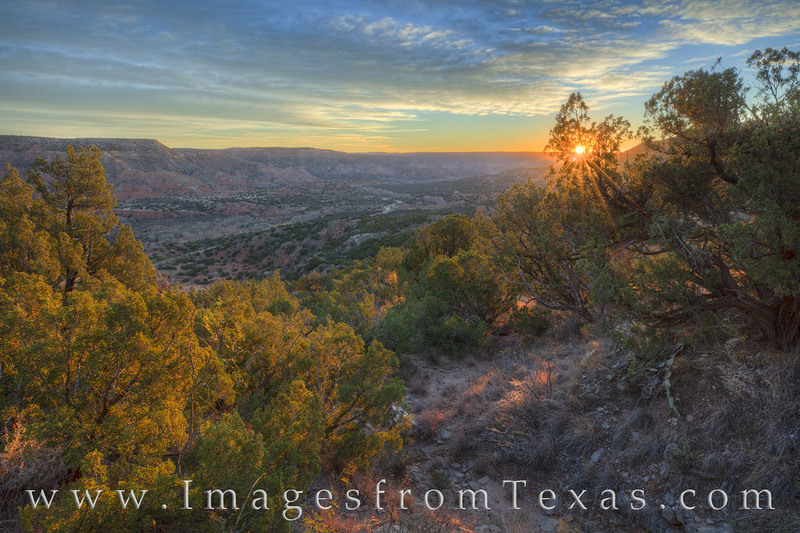 On a hike to Palo Duro's secret slot canyons, we paused at the top of the canyon rim to take in the cool November sunrise. The valley of this amazing state park stretched out below us, but we had miles to go before the real payoff - the Central Utah Slot Canyons. Photo © copyright by Rob Greebon.